A Bartlesville man was arrested after an alleged incident where he attempted to take a weapon from an officer. 56-year-old Ronald Morgan appeared at the Washington County Courthouse on Monday facing charges of assault and battery on a police officer, resisting an officer and possession of a controlled dangerous substance for an incident that took place on Sunday. Court documents allege that Morgan was found with methamphetamine and a smoking pipe in his possession. When police attempted to place Morgan in handcuffs he was taken to the ground due to resisting. It took two officers to control Morgan. At one point during the physical altercation Morgan reached for the service weapon of one of the officers. Morgan is currently on felony probation for a weapons charge. 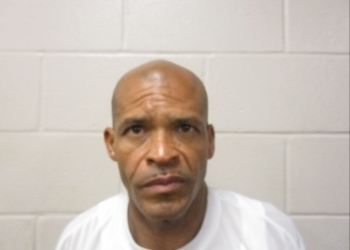 Morgan also served time in a Texas penitentiary for his role in a 1989 homicide. Bond for Morgan was set at $50,000. He is due back in court on May 3.